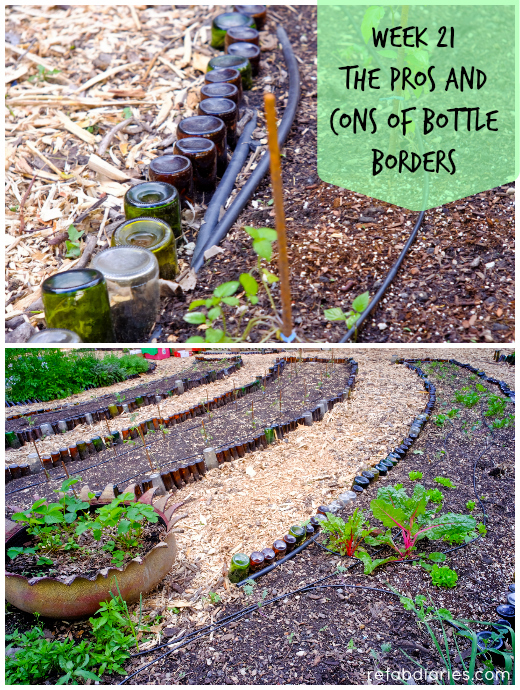 I've seen lots of images on Pinterest of gardens edged in bottles. And I've always thought it looked good. Seeing it in person, I have to tell you, it's better than good looking. It's really beautiful; especially when it's done as well as this one is. The beds are laid out beautifully. 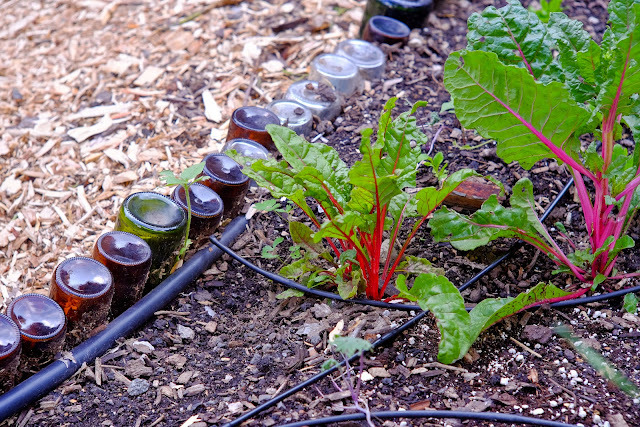 And the bottles also serve to anchor an irrigation system that strikes me as pretty damn sophisticated for an urban, alley, veggie patch! 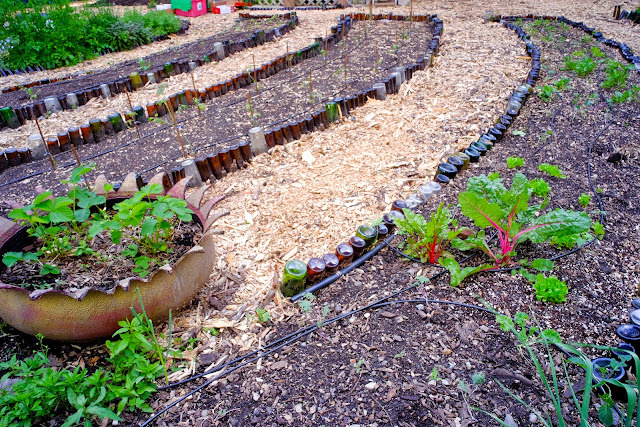 Other pros to wine-bottle garden edges? Apparently the small amounts of water that collect in the bottles turn them into butterfly water stations! 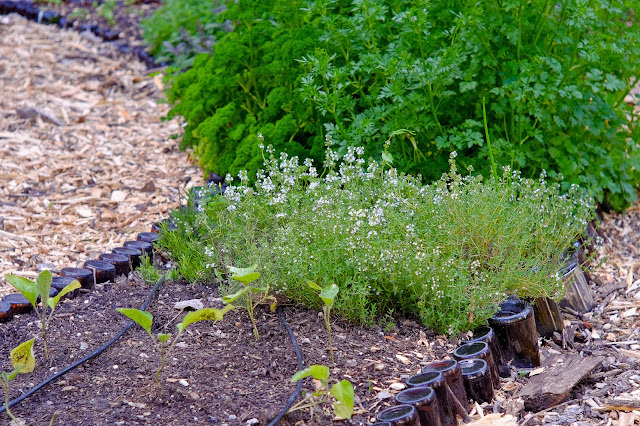 For more info from someone who loves her wine-bottle garden edging, read this. Glass deteriorates in the sun and with fluctuating temps. 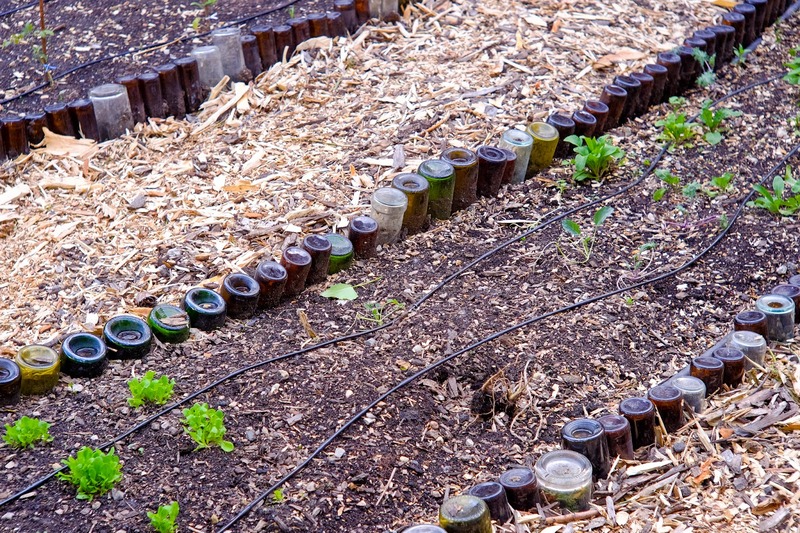 If you're using them around a vegetable garden, broken glass will be a real risk once they've withstood a season or two. After a winter of real snow, nice tidy lines are no more. 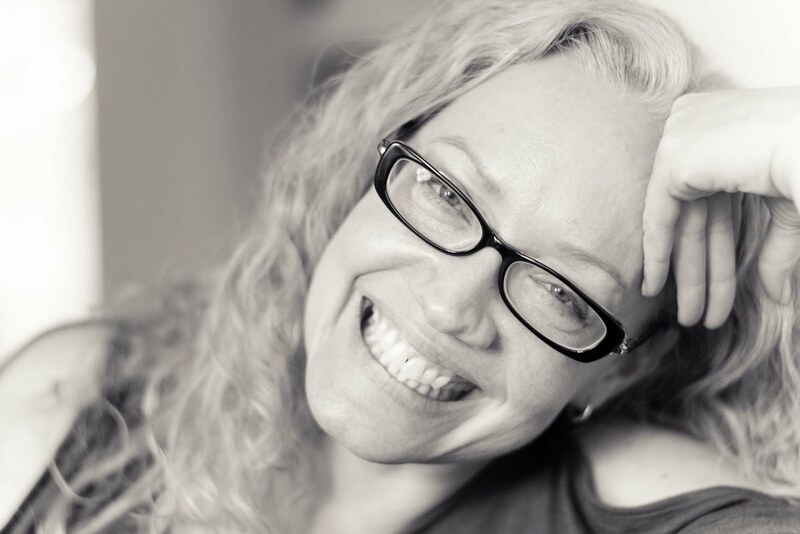 You have to be ready to put everything back in order... and look out for cracked glass. More from someone who's not such a fan of this idea. So there are pros and cons. But it looks really good, right? And did you notice the old tire that's now a strawberry patch? Have any of you tried this? How did it go?